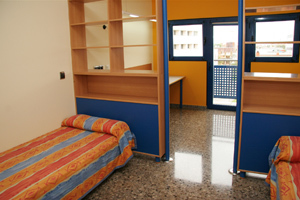 Spanish courses in Spain and Latin America with accommodation in host families and apartments. Students attending our Spanish courses in Spain and Latin America at one of our schools normally ask us to arrange accommodation for them. If you are studying Spanish in Spain or in another Spanish speaking country it is naturally a good idea to stay with a Spanish host family, because then you will learn Spanish with your family as well. However, we also fully understand why some students ask us to arrange shared self-catering apartments for them, or accommodation in student residences. 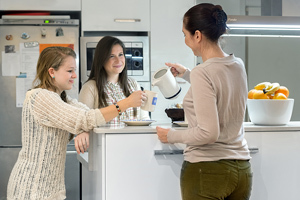 It is very important to us that our students are happy in their accommodation, whether in host families, self-catering shared student apartments or in private studio apartments. Some of our schools also have student residences, while others offer 'executive suites' and 'superior apartments' for those students who require a higher standard of accommodation. Host families are carefully vetted by our schools. In addition, all our students complete confidential student questionnaires, which we then use to ensure, as far as possible, that students of ours are placed only in families in which previous students have been happy. A 'host family' can be a married couple or a single person, with or without children. If a student is unhappy in a host family, they will be moved, without question. Please note that accommodation is normally available from the Sunday before your Spanish course starts until the Saturday after it finishes. If you need to move into your accommodation a day or two earlier or leave a day later, this can often be arranged, though you will be charged for the extra days. These apartments are fully equipped. You share your apartment with other international students and/or with Spanish students. You will have your own room, or share a room, if you prefer. You will share the kitchen, bathroom and living room with the other students in the apartment. 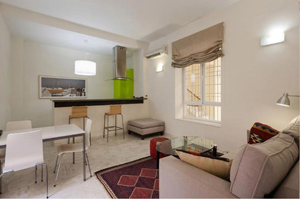 These shared apartments provide basic but very reasonably priced student accommodation. These carefully selected host families are certainly the best option from a Spanish language-learning point of view. Students can choose to stay in single or shared rooms, and receive bed and breakfast, half board (2 meals/day) or full board (3 meals/day). The families will all speak only Spanish to students, thus giving students lots of extra language practise! Host families can be couples or single people, with or without children. If a student is unhappy in a host family for whatever reason, they will be moved, without question. 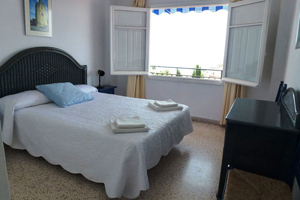 These residences are located in the centre of Barcelona / Madrid / Marbella / Malaga / Salamanca / Granada / Nerja / Playa Del Carmen / Antigua. Students share the residences with other international students and Spanish students. You can choose to have half board (2 meals/day) or full board (3 meals/day) and to stay in a single room or a shared room. These studios are small but comfortably furnished and fully equipped with private bathroom, kitchenette and bedroom (single or twin). Please note:You should arrange to arrive in your accommodation on the Sunday before your Spanish course starts and depart on the Saturday after your course finishes. Though we do not arrange transport, our UK office staff will be pleased to advise you on how best to travel to our schools. In most cases, we are able to arrange for students to be met at the airport on arrival and taken to their accommodation. Charges for this service vary, depending on the school.